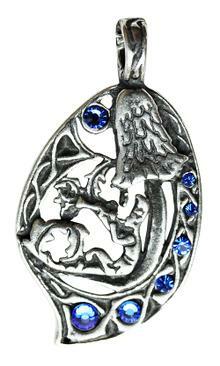 The Norse goddess Freya, known as the fairest of all the Goddesses, was revered by the Vikings for Love & Magic. 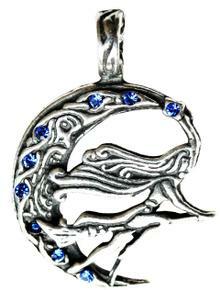 Set in a crescent moon bejewelled with sparkling blue crystals, the pendant can be worn for Love and Magic. 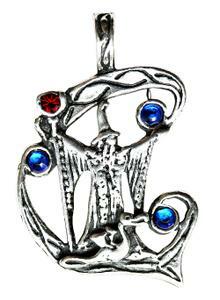 Draw upon the Wizard’s Powers For Achievement of Desires. Greek god of shepherds, flocks and music, Pan’s domain of Arcadia inspired him to create his pan-pipe flute with its haunting melody. Worn for Irresistible Magnetism. 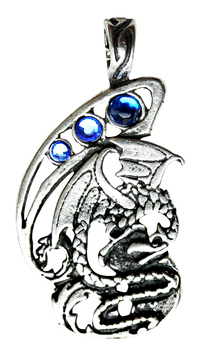 Our dragon was famed for collecting and protecting great treasures and his powers of Wealth & Knowledge can be worn to promote those same attributes for the wearer. 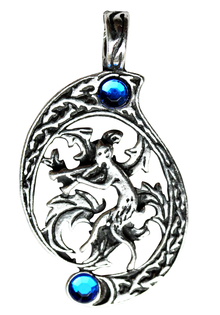 When looking amongst toadstools, you might be lucky enough to find a magical Pixie, represented in this fabulous pendant for Unexpected Good Fortune. 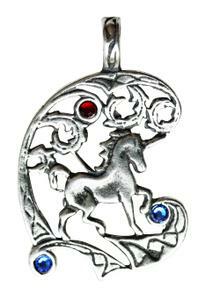 A beautiful unicorn pendant, set with sparkling crystals to draw upon the Unicorn’s Powers For Protection & Healing. 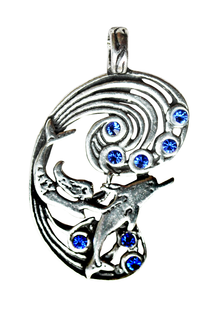 A gorgeous image of a magical mermaid swimming with a beautiful dolphin is conjured in this wonderful pendant that can be worn For Harmony & Happiness. 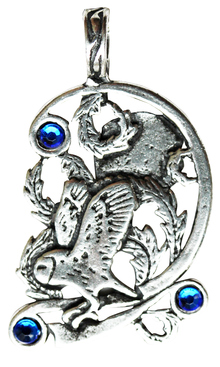 The Owl in flight, known for its Wisdom and Intuition, is worn For Wisdom & Psychic Ability.